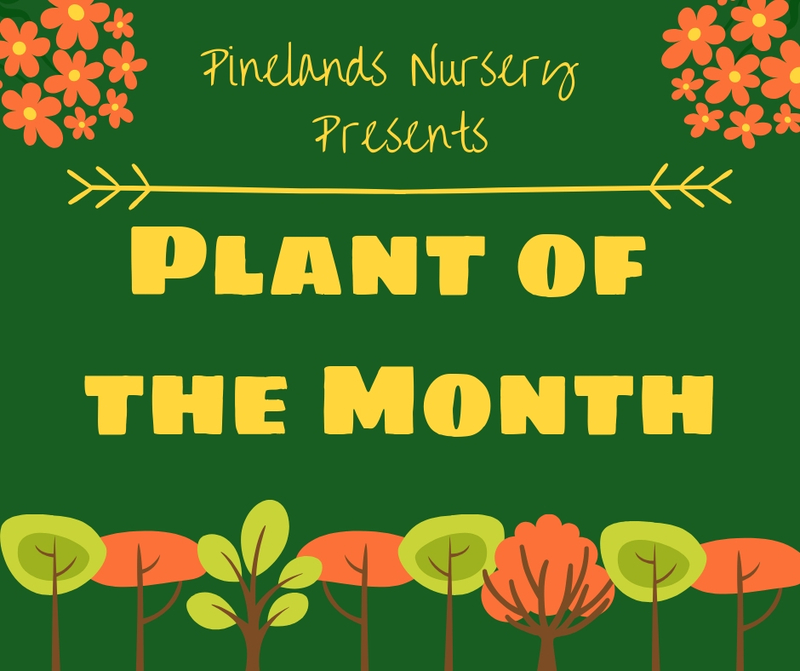 With the new year finally here, we are excited to announce our new Plant of the Month program. Each month, we will be highlighting one plant that we grow here at the nursery. 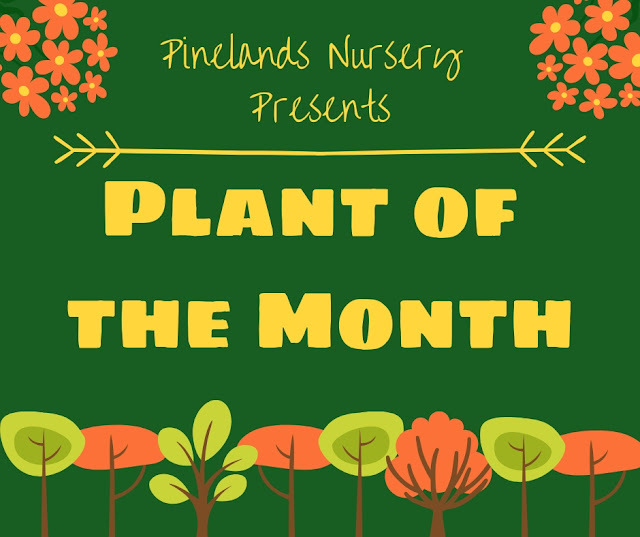 The Plant of the Month will be selected based upon a special characteristic that it possesses that plays a role during that month! Our first Plant of the Month is the Birch Tree (Betula spp.). The various birch species that we grow here at the nursery all have an interesting bark color that can be very stark against the usual browns that we have in winter. 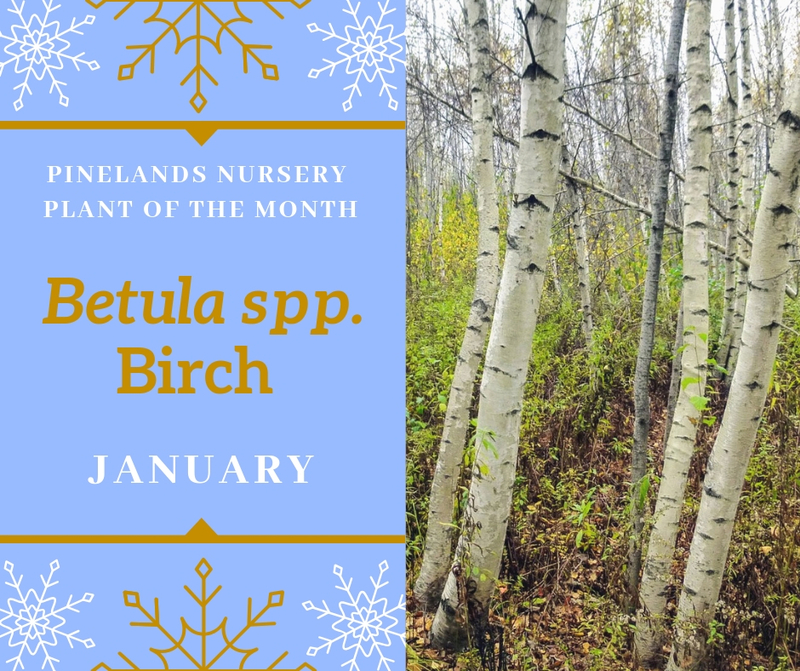 Of the 60 known birch species, five of those species are considered native to New Jersey: Betula alleghaniensis, Betula lenta, Betula nigra, Betula papyrifera, and Betula populifolia. The bark of all species, excluding Betula populifolia, peel off in long horizontal strips. A Birch tree is responsible for producing fruits called samaras. From these samaras a birch tree is able to produce up to 1 Million seeds a year! With such high seed activity, it is no wonder that pollen from the birch tree is responsible for between 15 and 20% of hay fever cases that occur in the northern hemisphere. The wood of a birch tree is highly flammable to the point where even wet, the wood can still catch fire and burn without the characteristics pops associated with burning wet wood. This is due to the high calorific value, or the total energy released as heat when the material undergoes combustion, that the wood has. The birch bark contains oils which also burn well. Birch beer truly does come from the birch tree! Unlike root beer however which is made using the root of the sassafras tree, birch beer is derived from herbal extracts found in the bark and the sap of the birch tree. Once the sap has been collected, it is distilled to create birch oil. To extract the oil from the bark, the bark is boiled for an extended period of time which stimulates the release of the oil. After developing the flavor of the oil to your liking, it is then added to carbonated water. Then it is time to enjoy your freshly made birch beer!